Call our friendly team today on 0800 612 2077 to find out more about our services and how we can give your home an instant refresh. If you want to find out more about our roof cleaning and coating services in and around West Sussex, then give us a call on 0800 6122077. Our friendly team of experts are ready to assist you with all of your cleaning requirements to make your home not only look great but perform at its best. We run a professional window cleaning business and customer satisfaction is our main priority. The price we agree with you is for the cleaning of the glass and the window sills. We will do our very best to come as often as you want us to. To make that possible the windows will be cleaned at the interval agreed upon regardless of the weathe. We offer regular window cleaning contracts to the commercial sector including; offices, industrial units, hotels, care homes, retail outlets, car and furniture showrooms etc. Our high-reach poles mean that we can clean high level windows without the use of ladders. As and when required we can also clean fascia boards, soffits, external guttering or any difficult to reach plastic cladding using our high reach water fed pole system. 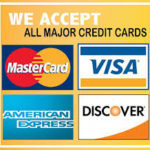 Please ask for a quote. Upon your request we can clean the exterior roof glass or polycarbonate on your conservatory or orangery. This would be at specified intervals or as a one-off clean when asked to do so. We would normally first utilise a light detergent containing algaecide to clean off the green slime and lichen that builds up on the roof panels and trims. The Reach & Wash® water-fed pole system ensures that in most cases we can get access to the conservatory roof without the need to climb over it. 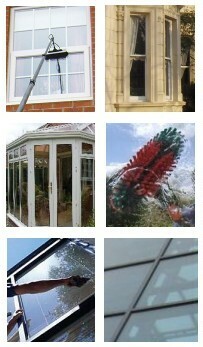 Window cleaning services - Residential and commercial serving Rainham Kent and surrounding area.